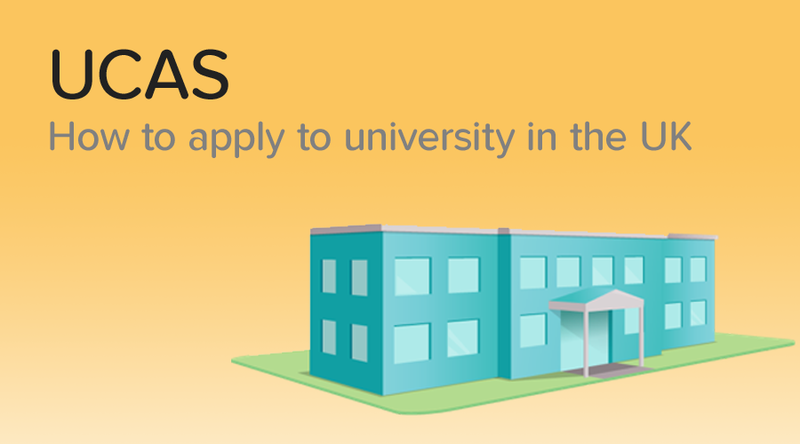 UCAS stands for Universities and Colleges Admissions Service. It's the United Kingdom’s equivalent to the CAO. If you're planning to study a university degree in the UK, you have to apply through UCAS. Last year, I applied through UCAS and am now studying Occupational Therapy (MOccTh) at Robert Gordon University, Aberdeen. I understand it can be a daunting expereince when applying to UCAS, so here I’ll talk about everything I think you should know when applying to UCAS. The UCAS Application can be broken up into three parts: the application form, a personal statement and a reference. The application as a whole can take quite some time to fill up and is not something you would do in one day. It took me around three weeks to completely finish and submit mine, so I would advise you start it as soon as possible! The application deadline is the 15th of January 2019 at 18:00, unless you are applying for medicine, veterinary medicine, dentistry and veterinary science courses or to the University of Cambridge or Oxford. The deadline for these courses and colleges is the 15th of October 2018 at 18:00. The first thing you need to do to begin your application is to go to the UCAS website and register. Once you've done this, you'll be given a “Personal ID”, make sure you make note of this as you'll need this every time to log in. After you have registered, you can login and begin the application process. You'll also be asked for a “buzzword” if you are applying through your school, and you’ll need to ask your school for their buzzword before you start your application. The buzzword links your application to your school and allows your teachers to add your reference. You're then asked to fill out various details about yourself, from your name, date of birth, address to your education and employment. I suggest you take time filling these details out and always check them before you submit them. For the employment section, I would recommend adding any part-time jobs you may have had. The universities look at this for the skills you use in your part time job, as they may be something they are looking for for applicants to their course. It may be obvious, but ensure you're truthful when filling out the application form. You may be asked to provide some evidence for the information you disclose, for example the original copy of your Junior Cert results. You can apply for up to five courses; you do not have to use all of your five choices, you can just have a minimum of one. The more courses you apply to, the greater the chance you have of getting an offer. Before adding your choices, you should research the universities and the course first. Remember, you could get offered a place there, meaning you would be living in that place for three to four years and studying that course for that duration too. Therefore, take your time to carefully pick the universities and courses. I spent two full weeks researching different Occupational Therapy courses in all the different universites throughout the UK. It can get a bit tedious but honestly, its worth the research! There's a section in the application to add your choices where you search the university and course. If you are applying for medicine, dentistry, veterinary medicine and veterinary science, you can only apply for four of these courses. You can add a fifth choice with these as long as it's not the same course. For example, you can apply to four medicine courses and one physiotherapy course. You also can’t apply to both Oxford and Cambridge as an undergraduate, you have to pick one. The personal statement sometimes worries students as they don’t know where to begin. The personal statement isn't something to worry about, trust me! It is simply you talking about you. You're selling yourself to the university, explaining why you think you should be accepted to the course. The opening paragraph of your personal statement should show your understanding of the course. For example, I gave my understanding of what Occupational Therapy meant to me, not a dictionary definition. This is important as the universities want to see your understanding of the course. You should also discuss your interest and enthusiasm in the course. Tell them why you want to do this course and what excites you about it. The second paragraph should be about your skills and qualities and how they relate to the course you're applying to. For example, I talked about how I had good communication skills due to my part time job as a receptionist. I also linked in how I worked with many members of staff, showing my ability to work on a team as these are skills that are relevant to my course. Talk about any work experience you may have done that is relevant, a life experience that may have sparked your interest in the course or even an article you read which made you research the course. Let them know where the interest in the course came from. For the last paragraph, you should discuss your hobbies or anything which will make you unique from others. Remember, you want your personal statement to stand out! Also mention how you think you are ready for university life and why. Make sure to use words and language that's is easy to understand and is clear while keeping it relevant. The personal statement can only be 4,000 characters long and 47 lines. If you have too many characters or lines you will not be able to submit it, so stay within the limits. I would recommend typing it out first in something like Word and then when you are completely happy with it and have proof-read it for spellings, submit it to the relevant section on UCAS. It will take a couple of drafts before you are happy, so have patience with it! You'll get it right, I promise. Ask a teacher, a sibling, a parent or anyone who knows you well to read it too and ask for their advice. When applying through a school, your teacher will write your reference and attach it to your application. You must ask your teacher to do this and I would suggest picking a teacher that teaches you a subject which is relevant to the course you're applying to. I asked my Biology teacher to write mine as I was applying for a health science course. However, it doesn’t have to be, it can be any teacher you want. If your teacher is filling out your reference, you must have your application complete, with your choices and personal statement and your payment made. Your referee (teacher) can then upload the reference, approve and send it. Best of luck with your application. I hope this helps. Please send us a message if you have any further questions!